In stock -This product will ship today if ordered within the next 6 minutes. 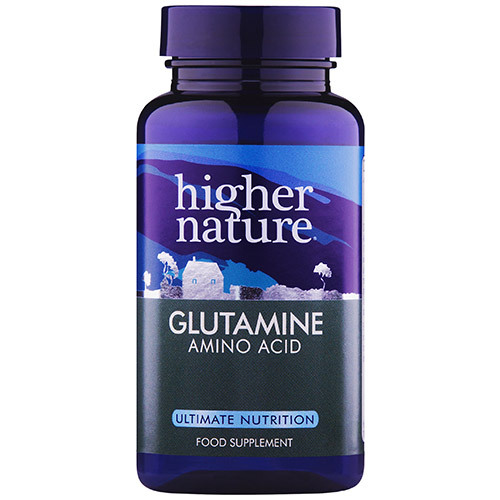 Glutamine plays a large part in maintaining the health of the digestive tract and is particularly useful for those who are physically active. Proteins are made up of amino acids - some are essential and some are classed as non-essential. Although Glutamine is a non-essential amino acid, it becomes conditionally essential at certain times, especially during stress or illness. L-Glutamine, Vegetarian Capsule: Hydroxypropyl Methylcellulose. Adults and children over 10 years, take 2-10 capsules with cold water 1-3 times a day, half an hour before meals, or as your health professional advises. Below are reviews of Glutamine - Amino Acid - 90 Vegicaps by bodykind customers. If you have tried this product we'd love to hear what you think so please leave a review. Out of all the Glutamine supplements I've tried, this one has worked the best. Not all free form Glutamine is derived from the same source, apparently.This would appear true, as my stomach problems are not half a bad as the used to be. I also tried other Glutamine's from other suppliers but they didn't seem to work. I also tried Glutamine Peptides (didn't work either). 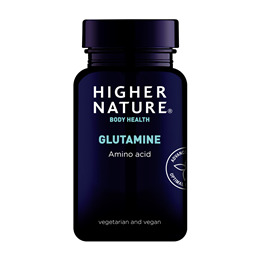 The good thing too is Higher Natures Glutamine is the best I've have tried and is also the cheapest - just goes-to-show that you don't need to spend loads of money to get the best supplements. You can get this brand in 30 caps for around £4.20 if you want to give it a try. I'll be buying the 90 caps in a few days.